A multibillion-dollar theme park-style attraction has been announced for a seven-acre expanse of land in Upper Frederick Township, Montgomery County. According to press material, the park, named Perkiomenland, will bring the 38 miles of the Perkiomen Creek to life in a wholly new and exciting way for tourists. Press materials describe it as "...a totally immersive experience that will take visitors to the depths of the bottom of the murky Perkiomen, in a format that enables them to explore underwater habitats on their own." Construction of the attraction is being guided by a west coast-based consortium of engineers, designers, special effects experts and biologists known as Pacific Undersea Naturalist Kinetic Environmental Design, Inc. (PUNKED). Although township permits are still needed and financing has yet to be completely addressed, a groundbreaking ceremony has already been set for April 1, 2017. 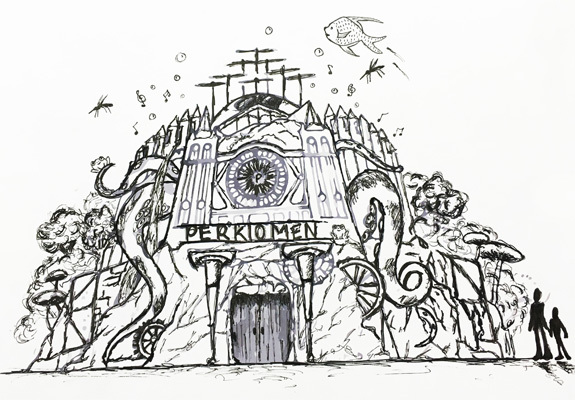 The signature attraction of Perkiomenland is a 13 million-gallon water tank that guests will explore in a number of fashions. "This isn&apos;t a mere ride-through experience where guests view predetermined scenery or cardboard cutouts of fish," says Emma Joquing, CEO of PUNKED. "This is a chance to pilot your own mini-sub and make your own adventure." Preliminary designs and blueprints include a teen-themed area where subs can be raced underwater. Another section depicts tots piloting smaller-style underwater vehicles and bashing against each other, bumper-car style. In addition to the natural habitats, several themed areas, referred to as tributaries, will use projections and animatronic technology to present other entertainment options. 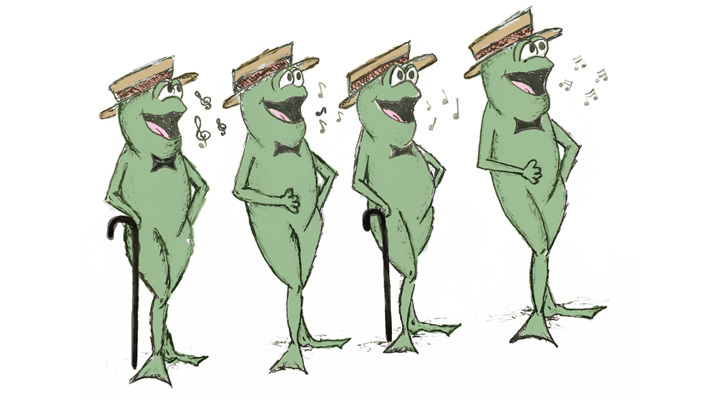 The Skippack Creek section, for example, will highlight audio-animatronic bullfrogs singing four-part barbershop harmony. Dancing mosquitos are part of the entertainment in the Swamp Creek section. The main tank will be stocked with a variety of undersea life, including crawdads, mudskippers, newts and fish that include trout, bass, catfish and eel. Topside, a themed restaurant, Frying Nemo, will serve dishes that customers have caught, gutted and scaled themselves. A nighttime undersea "fireworks" show will bring each day of operation to a close, featuring military-style depth charges creating shockwaves of color and light. Jess Forlaughs is a blogger who covers topics that range from the area's growing population of extraterrestrials to the activities of the Montgomery County chapter of S.H.I.E.L.D. She is a graduate of the William Brian School of Journalism and has been a long-time contributor to Muppet News.